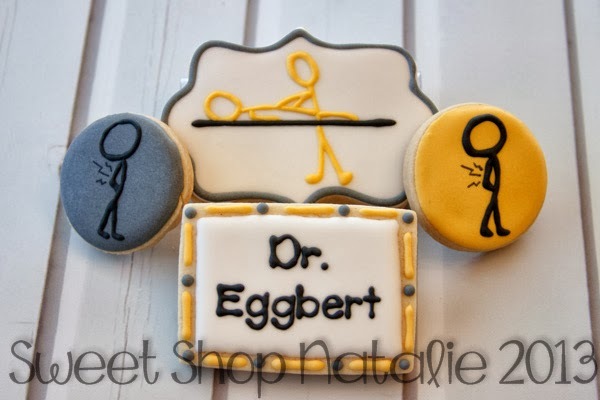 I go to see my chiropractor on a monthly basis and so I thought that I would bring him cookies on my last visit! I know I spelled Egbert wrong but when I checked online to make sure it was spelled right I only found one post that listed his name and they spelled it with two g's. :) My husband told me I spelled it wrong if only I would have asked him before I put it on the cookie! !